The Sherco 250 4-stroke has an unrivaled reputation. It has convincingly proven to all enduro riders and magazine test riders that it is an absolutely amazing machine. 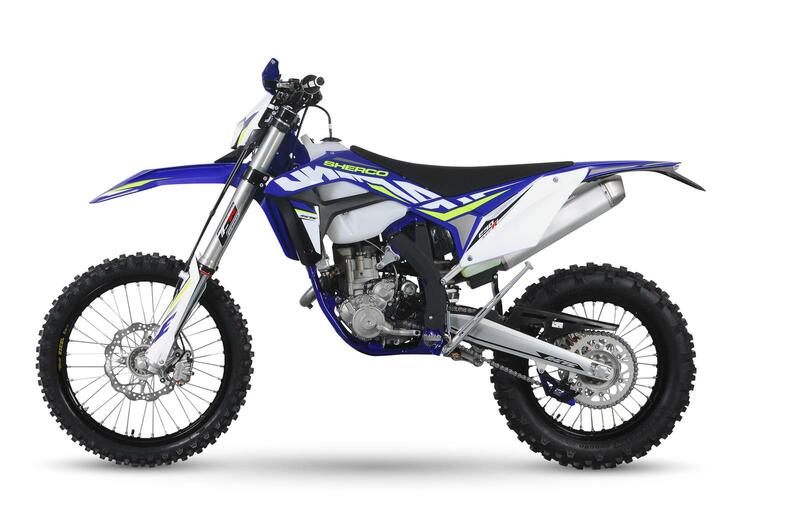 A pioneer in the 4-stroke enduro middleweight class, it can do everything demanded of it. From the casual rider to the professional racer it is an effective tool. It shines in every area and is a treat to ride whether it is tight single track or a fast flowing open course. The 250 cylinder displacement provides muscular torque combined with a pleasing vivacity. It is perfect for the average rider! Exhaust	Stainless steel header pipe, muffler with catalytic converter meets Euro 3 stds. Rear suspension	WP Monoshock progressive rear suspension with aluminum control rods, adjustable for high and low speed compression and spring pre-load. 330 mm (13 in) Racing shock.